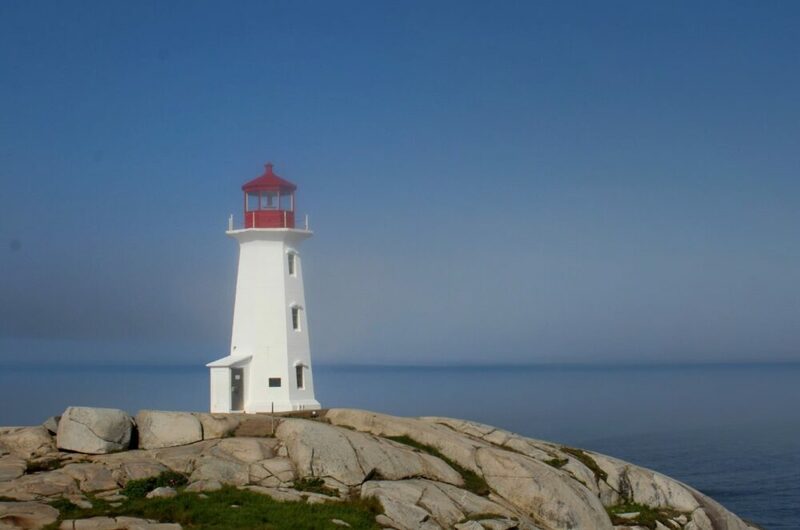 A trip to Canada’s East Coast is all about sea breezes, fresh lobster, colourful fishing villages, sweeping swathes of sandy beach, weathered lighthouses and majestic ocean panoramas. Connecting them all are winding coastal roads, sometimes only a crash barrier away from the water itself. A road trip on Canada’s East Coast is an exciting and unforgettable adventure, with beautiful views and interesting experiences almost everywhere you go. 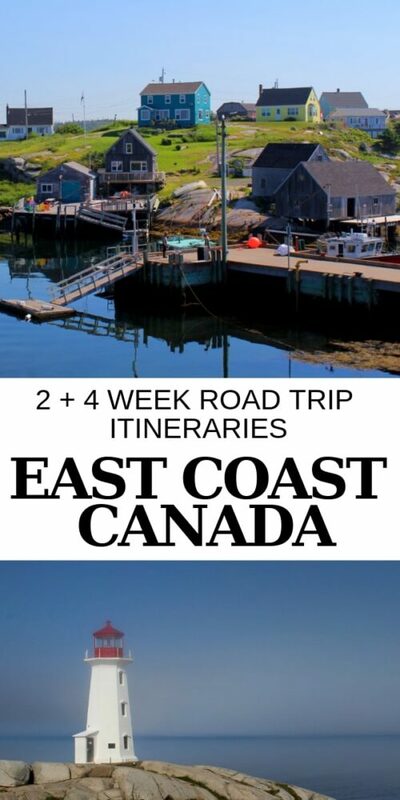 Use this article to create your own perfect East Coast Canada road trip itinerary. Spending the best part of five months exploring the Maritimes gave us plenty of time to reflect on what would be the ‘ultimate’ East Coast Canada road trip. The truth is, there’s no such thing. It completely depends on your time limit and personal interests. 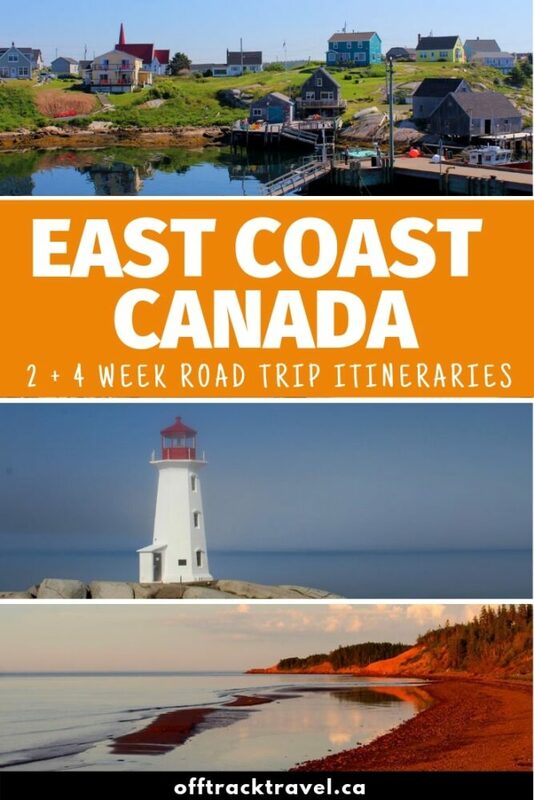 For that reason, I have created a two week East Coast Canada road trip itinerary that features all the highlights and a four week beyond the beaten path route with more suggestions of things to do. See which of the beyond the beaten path activities peak your interest. Then chop, change and add to the standard itinerary as you like according to your own interests and time restrictions. The key to making the most of your East Coast Canada road trip is to not overload your itinerary. Despite the provinces on the East Coast being some of Canada’s smallest, the driving distances are probably longer than you may expect. We spent a week driving Prince Edward Island from coast to coast and our mileage topped 2000km. Please note – Newfoundland is not included in any of the following suggested East Coast Canada road trip itineraries. This road trip is ideal if: You want to visit all of the iconic places shown on social media and talked about by family and friends. It’s also a great route for those short on time. This road trip can be condensed to ten days if necessary with the removal of a few activities and sights. 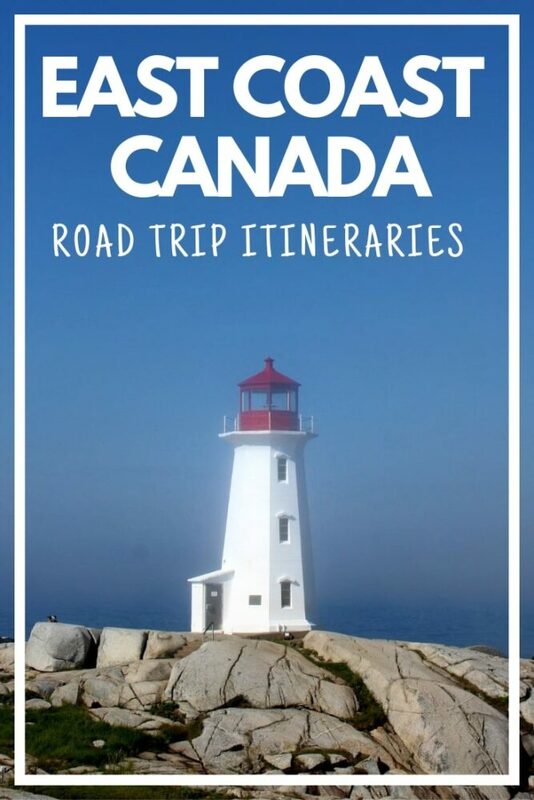 Road trip overview: For a varied, fun and beautiful overview of the Maritime provinces, concentrate your time in these four areas – Halifax and Nova Scotia’s South Shore (3 nights), Cape Breton Island (4 nights), Prince Edward Island (3 nights), New Brunswick (3 nights). This road trip itinerary starts and ends in Halifax. The first destination of this East Coast Canada road trip is Halifax. A compact city situated on a picturesque harbour, Halifax is a great place to visit even if you don’t usually like cities. It’s also an ideal base for a wide range of day trips in the area. 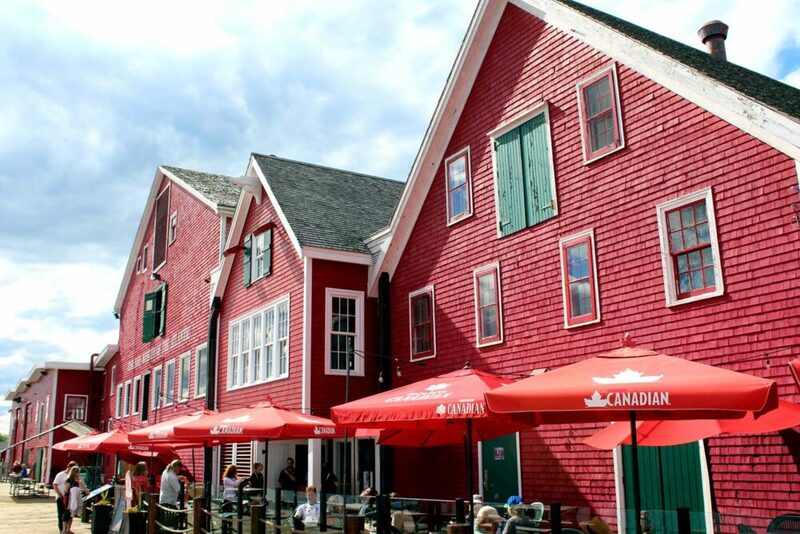 Halifax’s waterfront is a joy to walk and features several world class museums (Pier 21 and the Maritime Museum). Just behind downtown is the Halifax Citadel, a 19th century star shaped fort. 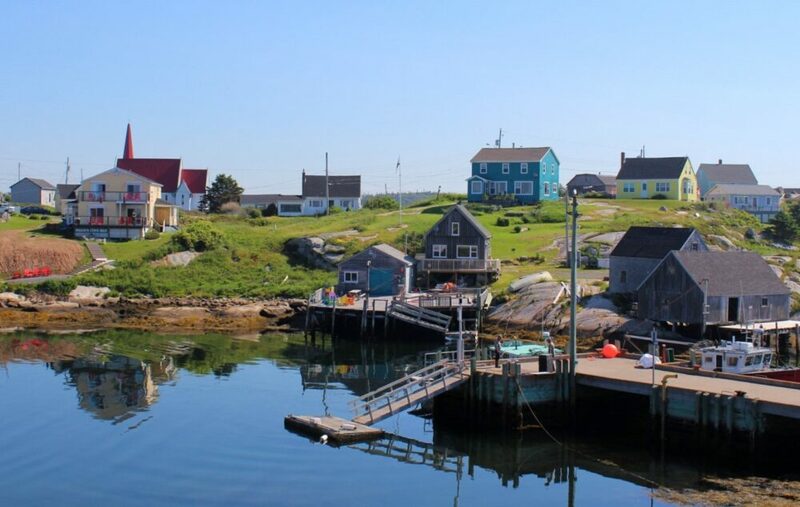 Just south of Halifax are two of East Coast Canada’s most quintessential sights – the granite rocks and lighthouse of Peggy’s Cove and the colourful port town of Lunenburg. The latter is ideal for an overnight stay. If you have time, continue on along the South Shore to see more authentic fishing villages and rugged coastline. The artsy yet regal small town of Wolfville is another welcome overnight excursion. 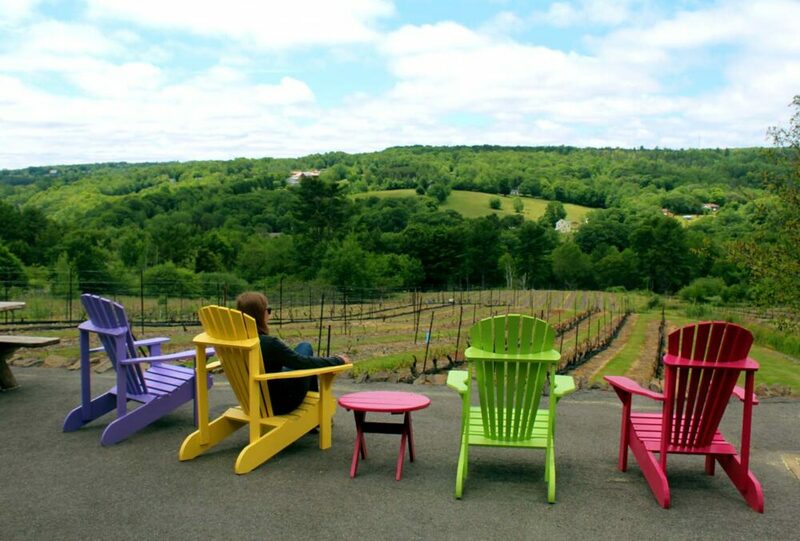 Whether you choose wine tasting or history (Grand-Pré), but be sure to see the beautiful view from nearby Look Off. 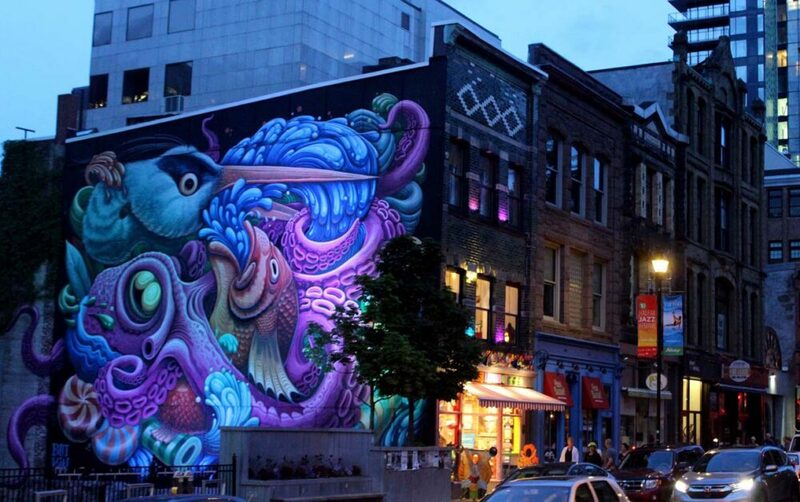 Street art in downtown Halifax, Nova Scotia. The city is an essential stop on any East Coast Canada road trip! 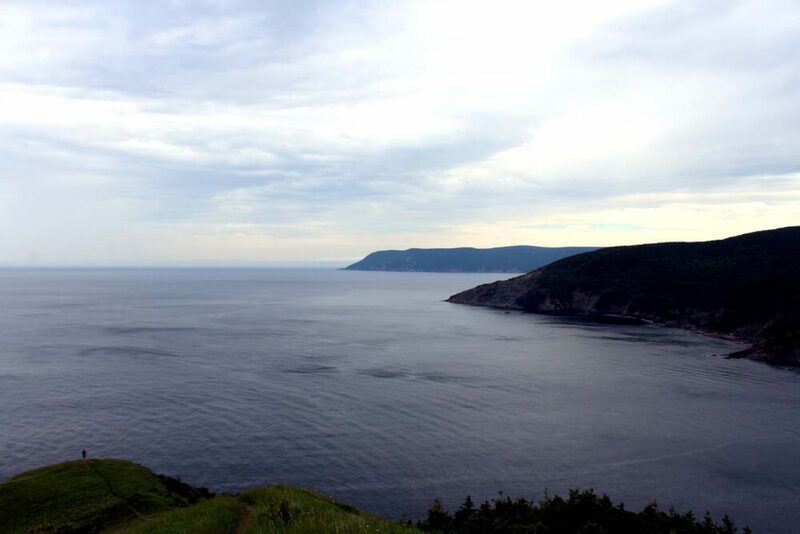 Cape Breton Island, and specifically the Cabot Trail,offers some of the most magnificent views in the Maritimes. Here, Nova Scotia’s highest mountains meet the sea. It’s a paradise for nature lovers. After exploring Cape Breton Island, head to Pictou to catch the ferry to Prince Edward Island. The Cabot Trail is a East Coast Canada road trip highlight for many. This scenic roadway across the Cape Breton Highlands may only be 298km in length but you’ll want at least a couple of days to take it all in. From the Cabot Trail, you can go whale watching, hiking, camping, kayaking and also try local Acadian, Canadian and Scottish cuisine. Other popular activities on Cape Breton Island include attending a cèilidh in the Mabou area and visiting Alexander Graham Bell’s adopted home in Baddeck. Fortress of Louisbourg with the help of costumed actors and restored barracks, shops, restaurants, blacksmith and bakery. Prince Edward Island is the East Coast’s archetypal sun, sea and sand holiday destination. Enjoy the slower pace of life on the island and short driving distances plus fresh, local cuisine and friendly locals. 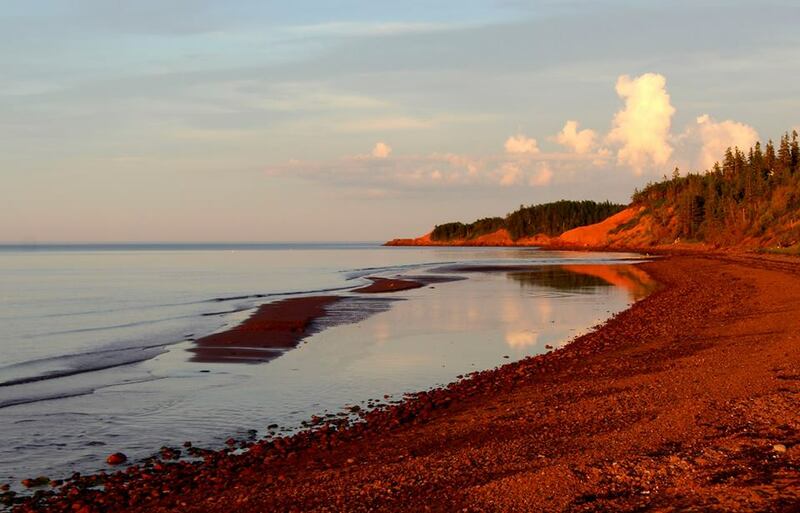 One of the highlights of visiting PEI has to be the white sand beaches of Prince Edward Island National Park. Situated along the northern coast of the Island, there are various access points to this national park. A quieter sections of the park is Greenwich, featuring unique dune formations. 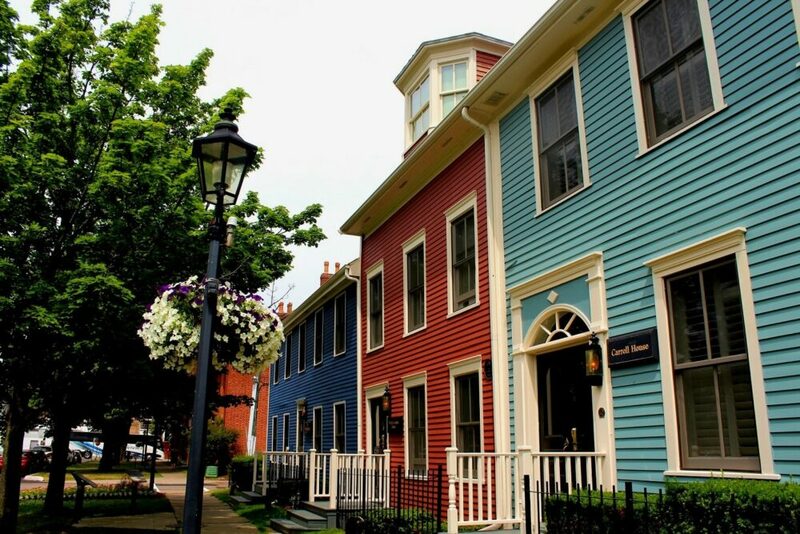 For culture, head to quaint Charlottetown and discover the birthplace of Canadian confederation. New Brunswick is Canada’s only officially bilingual province and is best known for its coastal attractions. The Bay of Coast experiences the highest tides in the world and is simply awe inspiring. On Day 14, leisurely drive back to Halifax to finish your epic East Coast Canada road trip. 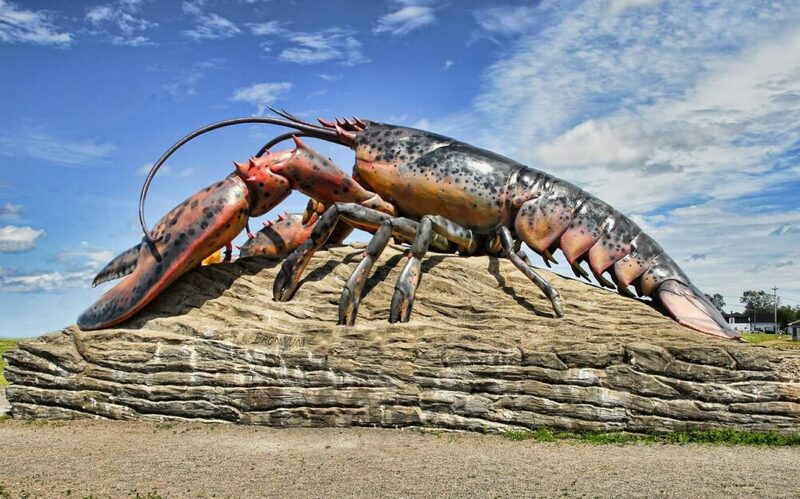 After crossing the Confederation Bridge from Prince Edward Island, check out the Giant Lobster in Shediac (welcome to Lobster country!) 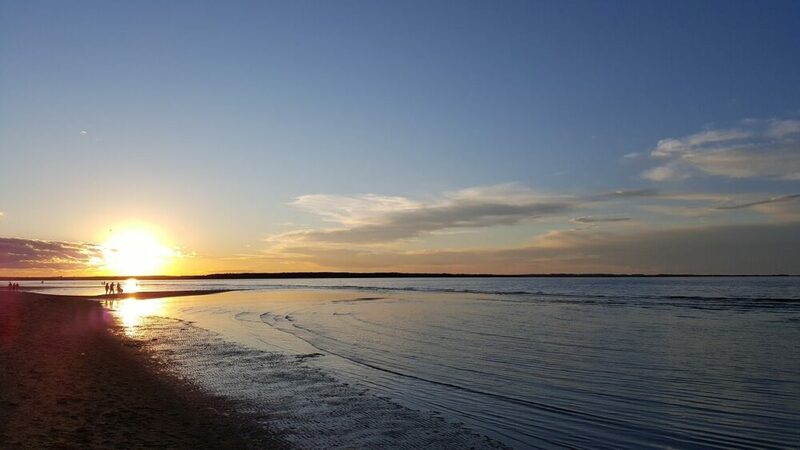 and have a swim at beautiful Parlee Beach, home of the warmest saltwater in Canada. Cape Enrage is your next stop. Take in the panoramic views of the Bay of Fundy and visit the light station that has been in operation since 1838. Just a little further south is Hopewell Rocks, where it is easy to see the power of the huge Bay of Fundy tides (the world’s biggest). Time it right, and you can walk on the ocean floor next to the unique ‘flower pot’ rocks. 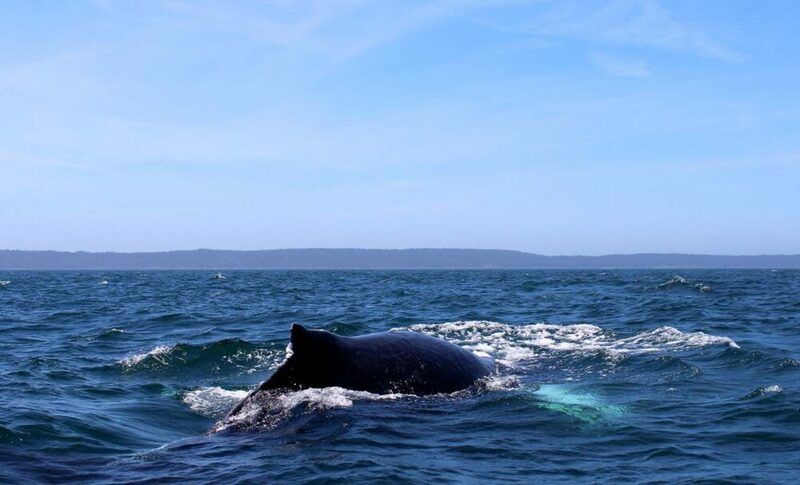 Fundy National Park is something of a condensed version of New Brunswick, offering both dramatic coastal scenery and dense forest landscapes to explore. Take a day hike in the woods or along the beach. Check out the cute coastal village of Alma and cross an iconic covered bridge at Point Wolfe. 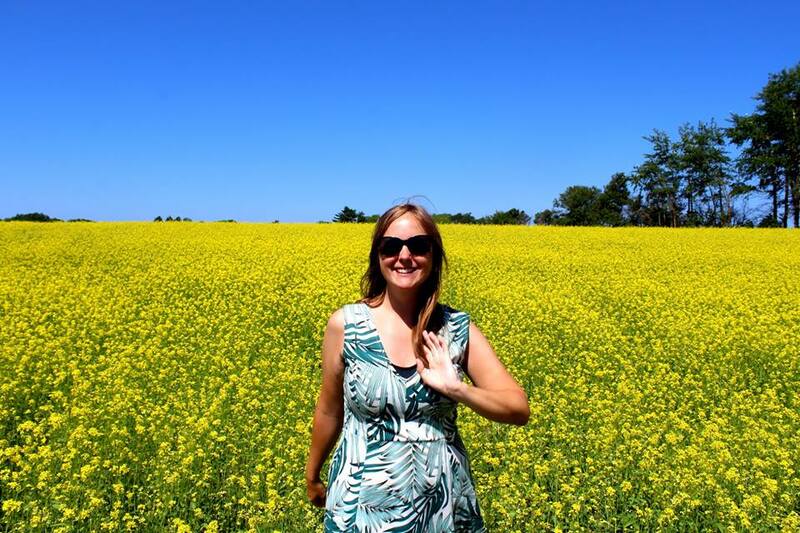 This road trip is ideal if: You want to see beyond the highlights of the East coast Canada, get a deeper experience of the area and also get away from the crowds. This offers a little bit of everything for a well rounded East Coast Canada road trip at a slower pace than the two week itinerary. Road trip overview: The required month may sound exaggerated but trust me, it is needed to truly give justice to this beautiful area of the world. 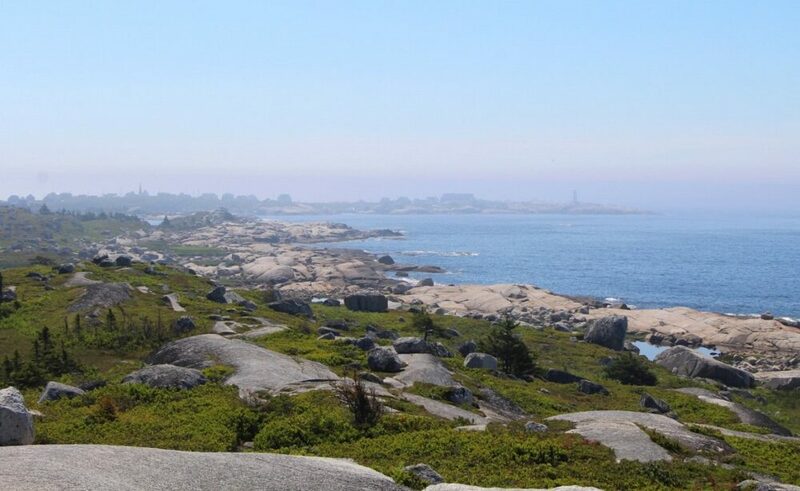 Included in this East coast Canada road trip is hiking, paddling, panoramic lookouts, caves, boardwalks, beaches, historic sites and offbeat places. Choose between exploring the lagoons and forests of Kouchibouguac National Park or the Irving Eco-Centre coastal boardwalk at Boutouche. Or just do both! Head to northeast New Brunswick and take a drive on the Acadian Coastal Drive and discover a culture that many people have never heard about. Travel through quiet fishing towns, marsh, beaches and peat moss, spotting the distinctive Acadian tricolour flag (with yellow Stella Maris star) as you go. 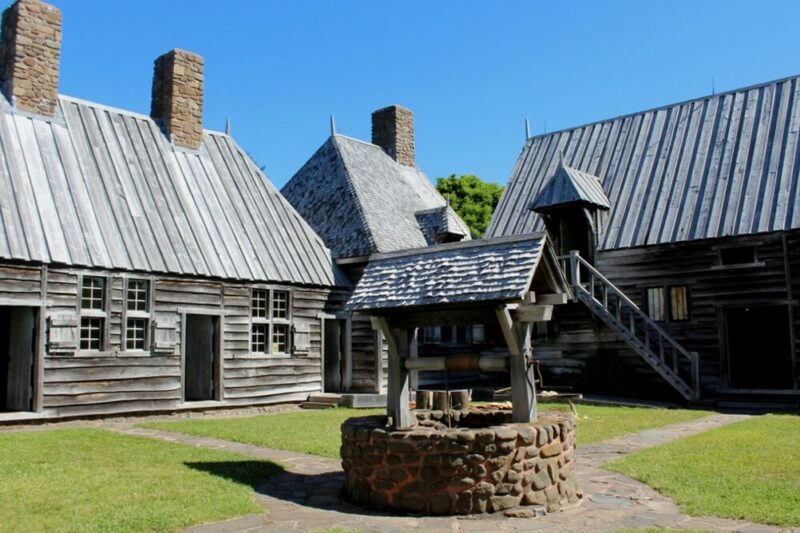 Be sure to check out the Village Historique Acadian which brings the 19th century to life with costumed actors, period food and interactive exhibits. Inland from the Acadian Peninsula is Mount Carleton Provincial Park, home of Atlantic Canada’s highest mountains. 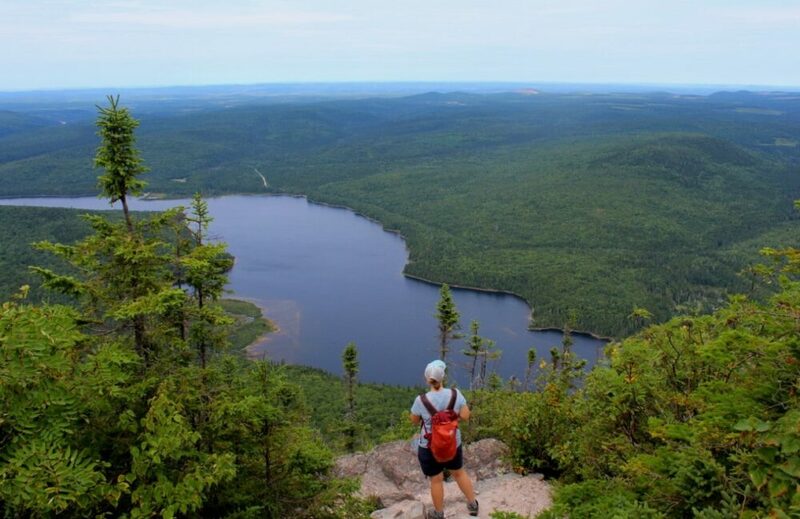 New Brunswick’s 5.8km Mount Sagamook Trail offers views of 10 million trees and the highest peak, Mount Carleton (820m). Make a stop at seaside resort town St Andrews By the Sea for waterfront cycling trails, cute boutiques, vibrant art galleries and general genteel feel. Travel to Prince Edward Island’s most easterly point via gorgeous beaches and laid back country roads. 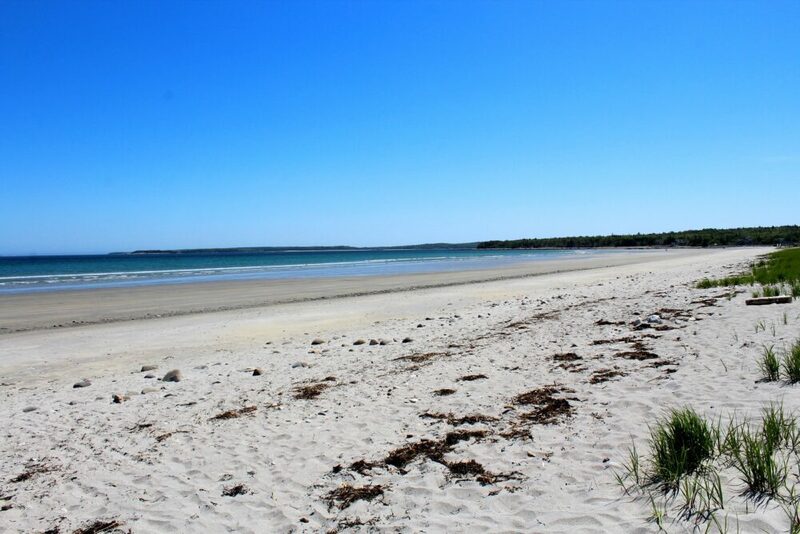 Basin Head is a particular highlight, nicknamed the ‘singing sands’ beach. No, really, the sand actually squeaks when you walk on it! The water is also fairly warm here, making it an ideal place to have a beach day. 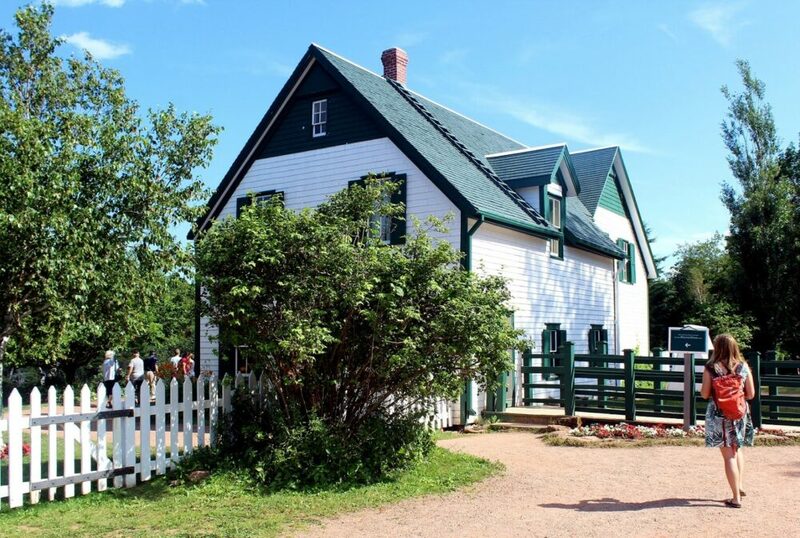 Over on PEI’s west coast, explore more about Acadian culture at the Village Musical Acadien in Abram Village. 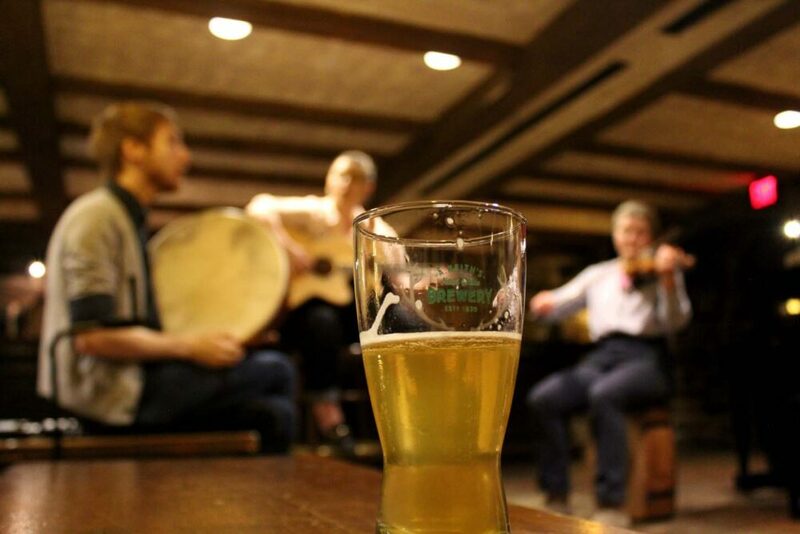 There are two free music shows every day in the summer, performed by local Acadian artists. You can even try some authentic Acadian cuisine too, available in the on-site cafe at very reasonable prices. 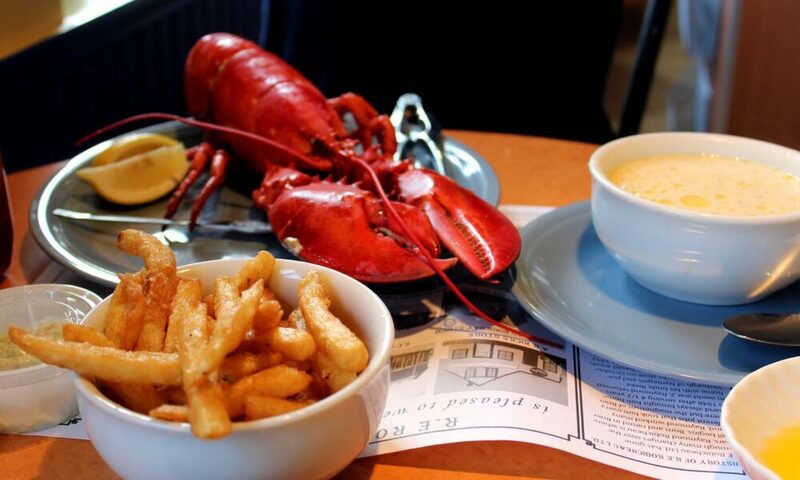 When driving around the Island, be sure to keep an eye out for lobster suppers being served. These are a PEI tradition and usually include chowder, mussels, lobster, potatoes, bread rolls, salad and a dessert. The latter is often a piece of home baked lemon meringue pie. Cape Breton is a surprisingly large island. It is easy to fill road trip days with historical sites, day hikes, live music, local cuisine and lookouts. 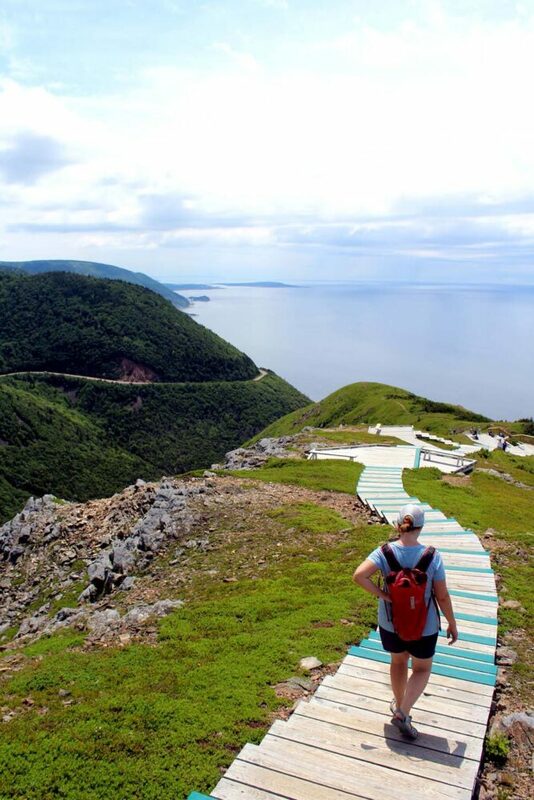 One of the day hikes you should not miss is the Skyline Trail on the Cabot Trail. This 6.5km out and back route culminates in epic ocean and highland panoramas. Moose are often seen in the area so have your camera ready. 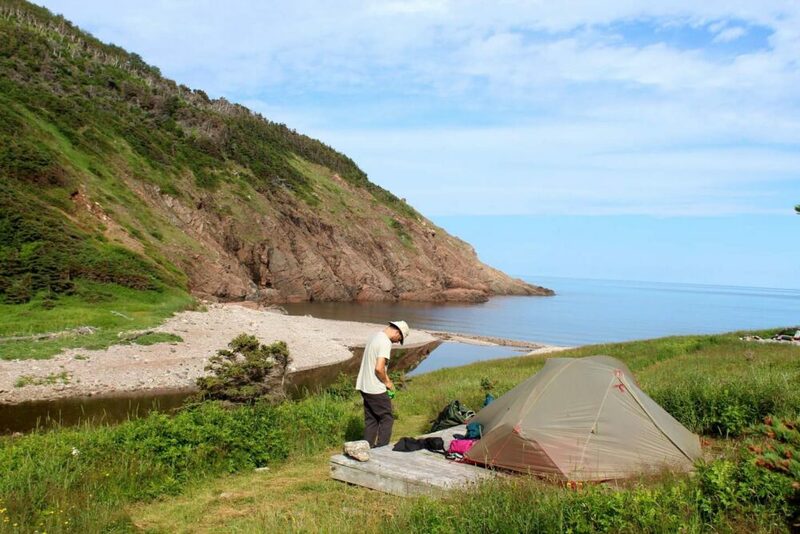 Consider camping at Cape Breton Highlands National Park’s only wilderness campground at Fishing Cove. 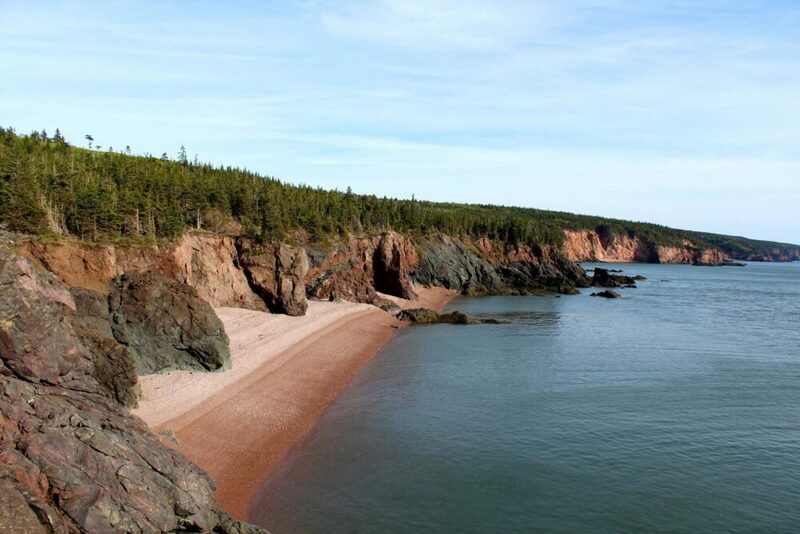 This waterfront campground is reached by the short but sweet 12km return Fishing Cove trail. The adventurous should definitely not miss a detour to Meat Cove, almost at the very northern tip of Cape Breton Island. A rustic campground perches on a cliff above the ocean, providing panoramic views along the rugged coast and onto the pebble beach below. Mainland Nova Scotia has an incredible amount to offer travellers who are looking to go beyond the beaten path. The easiest way to do so is to take a circular drive from Halifax along the Southern Coast and then back up along the Bay of Fundy, exploring the bountiful Annapolis Valley on the way back to the city. Here are some of my top recommendations along this circular route of mainland Nova Scotia, plus a few others within each reach. For even more suggestions, check the map above. Only accessible via two car ferries (unless you happen to have a boat that is), Brier Island sits at the end of a long peninsula striking out into the Bay of Fundy. This isolation provides a wonderful environment for migrating birds and whales watching. 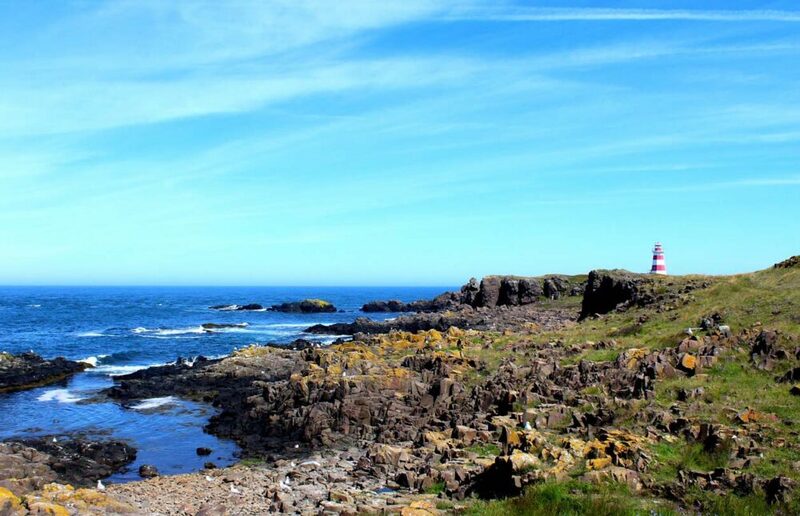 Nature lovers looking to get firmly off the beaten track will love Brier Island. Hidden just off the highway in a river valley, Bear River is a tiny tidal village with a distinctive feature. Many of the rustic houses and shops are on stilts. It’s a lovely little place for a drive or a walk, perhaps even a tasting at North America’s oldest winery. 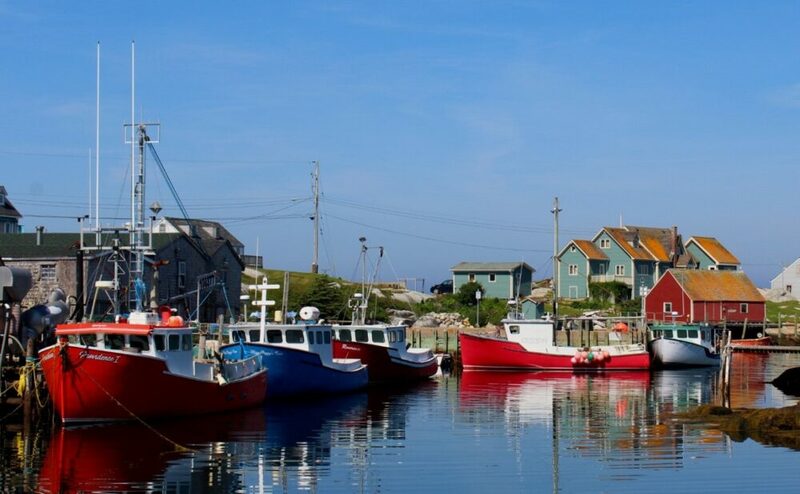 When driving along Nova Scotia’s coastline, be sure to leave the main highway and explore the small roads connecting tiny fishing communities. Cape Sable Island was a favourite and we also loved the LaHave Islands area (especially the local fishing museum in the latter). And, of course, seafood is usually plentiful in these areas. 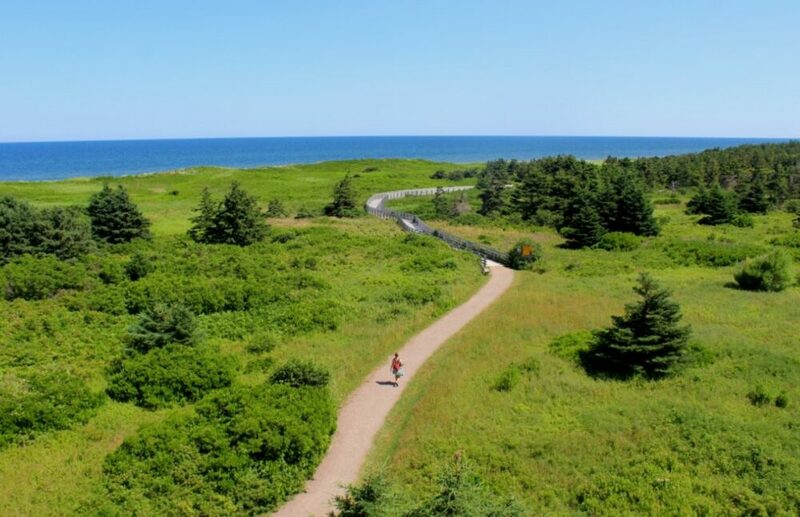 The Cape Chignecto Coastal Trail is the Maritimes’ premiere backpacking route. 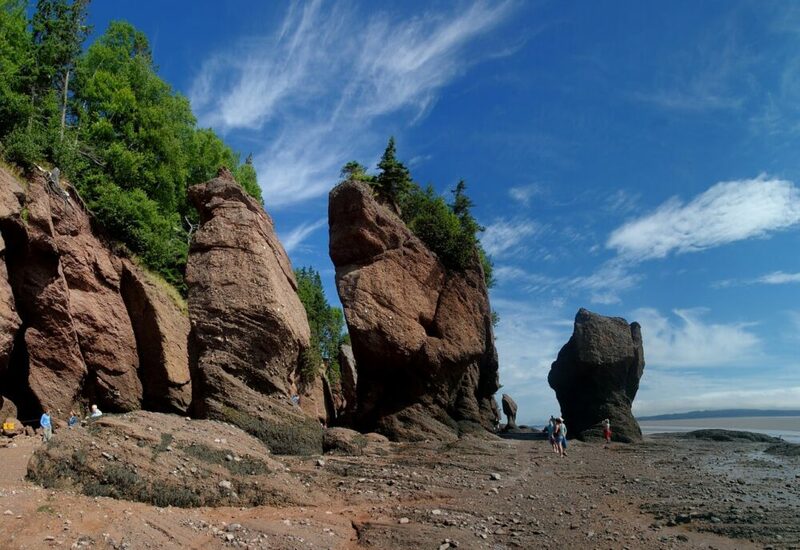 The 51km circular trail leads hikers along the Bay of Fundy to the top of towering cliffs and dramatic rock formations, to sandy beaches and rocky coves tinged with red. You’ll definitely need to extend your four week East Coast Canada road trip to include this hike. Much like the Skyline Trail on Cape Breton, the Cape Split trail (16km return) has a similarly dramatic finale, with the rugged tip of the cape falling into the Bay of Fundy. The rugged coastline of Nova Scotia is particularly interesting for paddling, especially when as untouched as the 100 Wild Islands region on the Eastern Shore. Inland, canoeists can explore quiet, interconnecting areas of lakes and rivers. 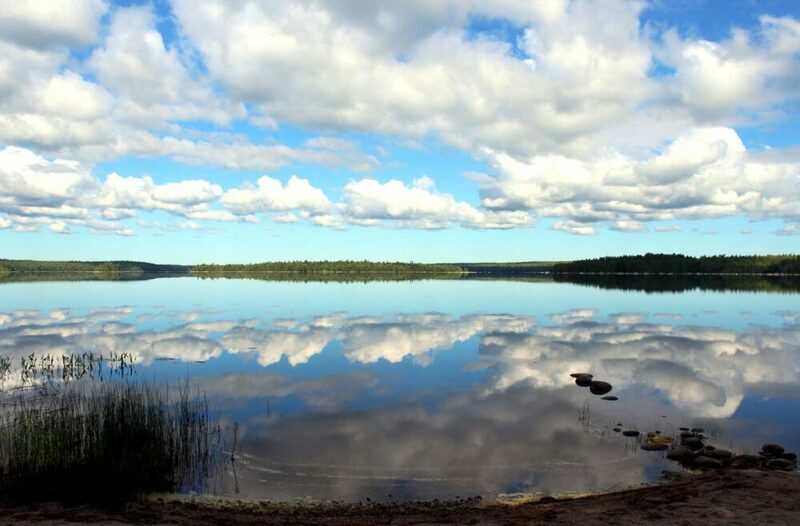 The most easily accessible in Kejimkujik National Park, where canoe rentals and tours are also available. Found at the very end of Nova Scotia’s Eastern Shore, Canso is the site of the oldest fishing port in North America. Due to the strategically important location, the area was subject to numerous raids and used for as a base for preparation in the 18th century. The powerful tides of the Bay of Fundy continually reveal new geological wonders, including an incredible variety of fossils. Geologists have long been flocking to the Joggins Cliffs to make new discoveries, even before the fossil of the earliest known reptile (the Hylonomus lyelli) was found here. 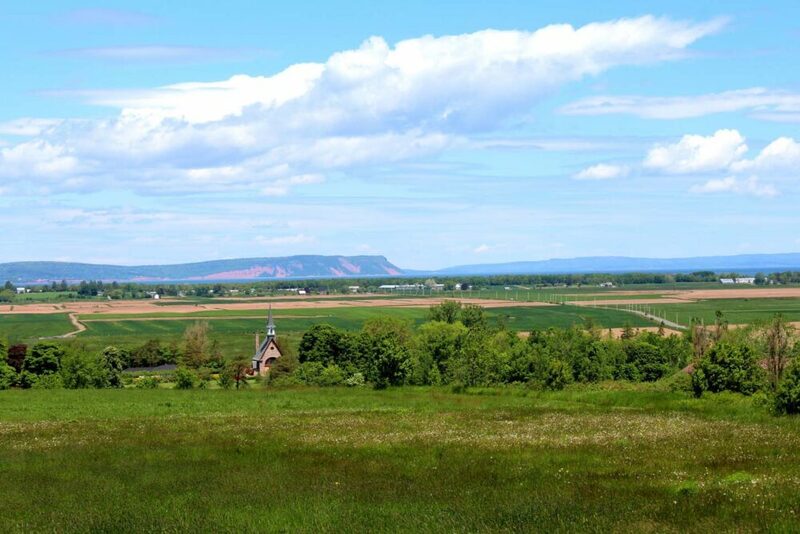 A visit to the Grand-Pré National Historic Site in Wolfville is an essential stop to help comprehend the devastation of the Acadian deportation. 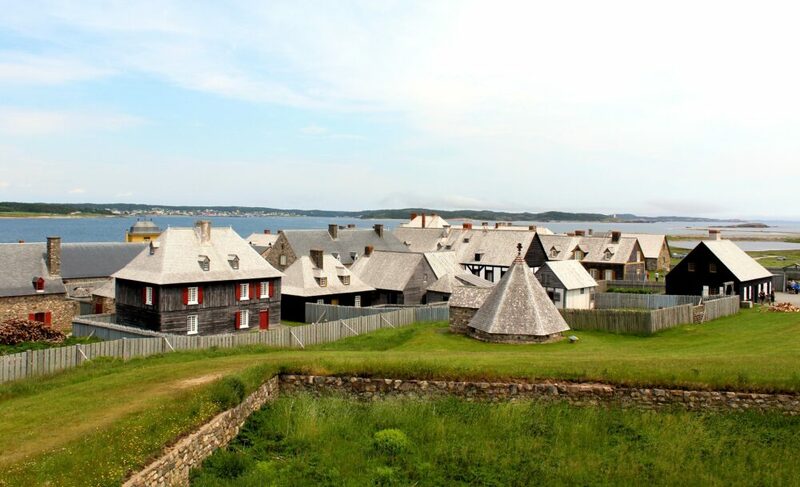 The Port-Royal National Historic Site with replica Habitation building recreates France’s first settlement in North America. Nearby Annapolis Royal played a pivotal role during the early colonisation of Canada. The town still features many historic buildings and a fort. Located on Nova Scotia’s South Shore is the Black Loyalist Museum, one of the most eye opening places we visited anywhere on Canada’s East Coast. Closer to Halifax is the Oak Island Visitor Centre, a must visit for anyone fascinated by the famed ‘money pit’ on this tiny island. Slow down. In general, the pace of life on the East Coast is relaxed. Though it may be tempting to try and rush around to see everything, take a lesson from the locals and take things slow. This is also important to remember when driving. While there are some high speed highways, many of the roads on the East Coast are winding and fairly narrow coastal routes. Short on time? If you only have a week to travel Canada’s East Coast, consider limiting your trip to just one province or two at a maximum. You’ll probably have way more fun not rushing about! Large animals (such as moose) may be on the road at any time, but more likely at dusk and dawn. The locals are friendly. It may sound like something strange to point out but most Canadians on the East Coast are genuinely considerate and obliging folks. You may experience this in a few different ways. We were regularly offered warm welcomes, road trip advice, destination tips and even free food and overnight hosting. Something else we noticed was vehicle drivers stopping to let pedestrians (or other vehicles) cross roads, even in busy places. The peak season is short. The main tourism season on Canada’s East Coast is only two months long – the summer months of July and August. This does mean that June and September are great months to visit with generally good weather and fewer visitors. On the other hand, some attractions and accommodation will not be open yet. If you’re planning to camp in any of the East coast National Parks, make a reservation early. A Parks Canada Discovery Pass. To get the most out of your visit, I’d recommend getting Parks Canada Discovery Pass. 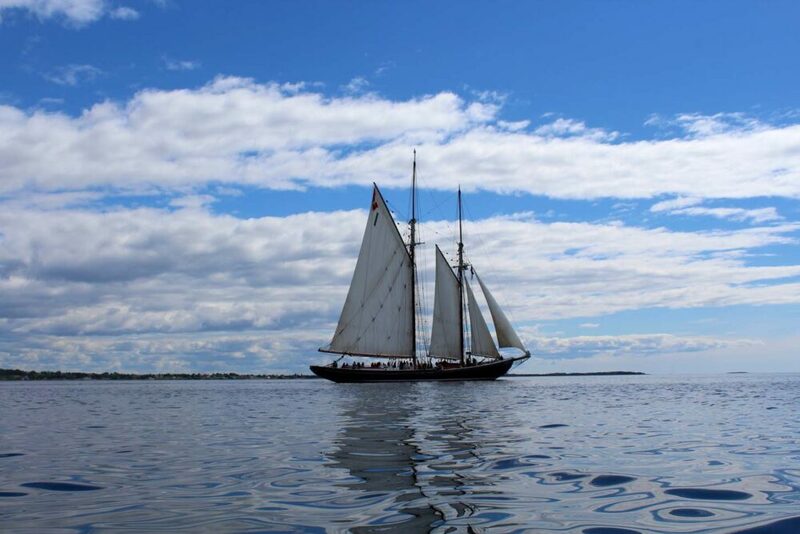 This offers free entry into all National Historic Sites and National Parks in the Maritimes. It pays for itself pretty quickly when travelling Canada’s East Coast. Backroad Mapbooks. The most comprehensive guides I have found for navigation and travelling across East coast Canada are the Backroad Mapbooks series. They feature ALL the local roads (gravel ones included) as well as trails, camping spots, must see sights and more. The Nova Scotia edition is particularly useful. Ferry or bridge fares. The Confederation Bridge is located towards the western side of Prince Edward Island and crosses over to eastern New Brunswick. The ferry to PEI leaves from just north of Pictou in Nova Scotia to Wood Islands, on the western side of PEI. Ferry and bridge fares are only charged when leaving Prince Edward Island by whichever means you choose (the bridge is cheaper). Canadian dollars. Some of the more remote places in the Maritimes will only accept cash. My second related piece of advice may seem more obvious, but we noticed quite a few American visitors trying to use American dollars in Canada. A few shops will take them begrudgingly, but trust me, you won’t get good value for money at all. The history of the Maritime provinces is probably more varied than you may expect. Here’s a brief lowdown; it will undoubtedly help put some of the experiences on your East Coast Canada road trip in perspective. The Mi’kmaq were the predominant residents on the East Coast until they were joined by the French in the early 17th century. Fertile areas in Nova Scotia were quickly claimed by French immigrants. They called the land Acadie (idyllic place) and themselves Acadian. The British eventually deported the Acadians, fearing their tentative alliance with the French. The French and British fought over this land for over a century, with the latter eventually succeeding to drive the other out. The revolution in America brought thousands of Loyalists to the shores of the Canada’s East Coast, including a large continent of former black slaves (Black Loyalists), who were promised freedom in exchange for fighting for the British. Scottish and Irish immigrants arrived in huge numbers in the 19th century, attempting to escape famine, overcrowding and discrimination. The Gaelic influence is particularly obvious in Halifax and around Cape Breton – think bagpipes, fiddles, tartan, whiskey, céilidhs and bilingual signs. Planning an East Coast Canada road trip? Tell me your plans in the comments below! PIN or save this post for reference with one of the above images!